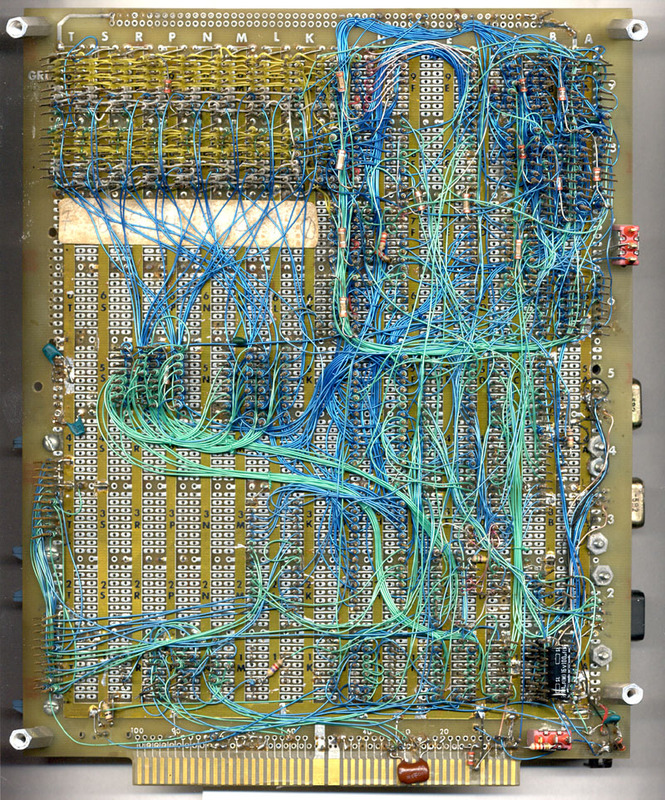 The following is a very early Macintosh prototype logic board, one of a half a dozen wire wrapped between 1980 (?) 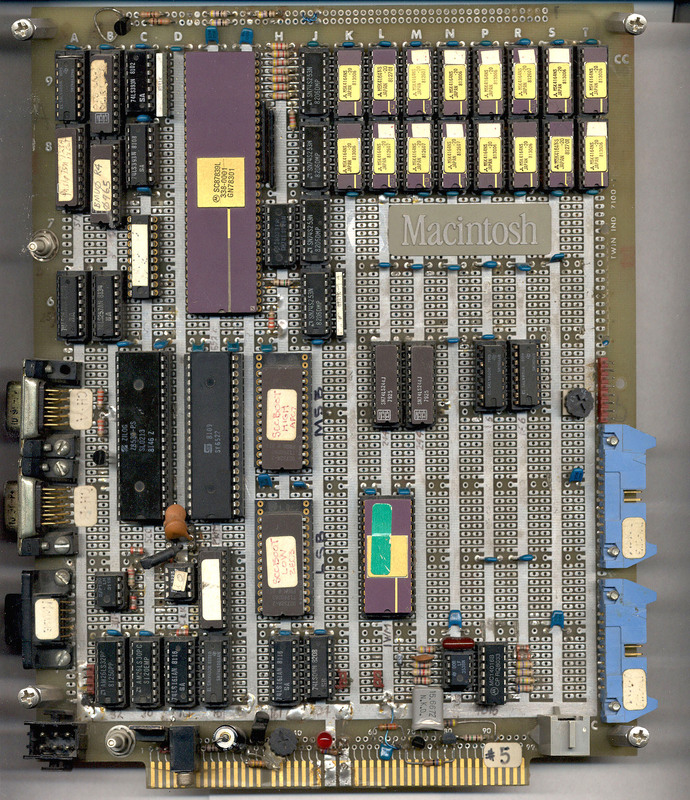 and finishing in 1983 prior to the first Macintosh production logic boards. This board resides in the private collection of Daniel Kottke who loaned it to the DigiBarn for our Mac at 20 anniversary online exhibit. Burrell Smith was the lead engineer on this class of Mac hardware. You can read more about the different renditions of Burrell's Macintosh here. More on this very historical artifact below. 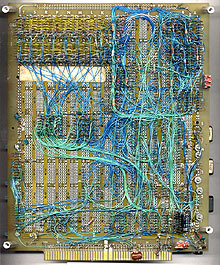 This board was the first to be set up for the operation of external devices with keyboard, display, mouse and disk drives. 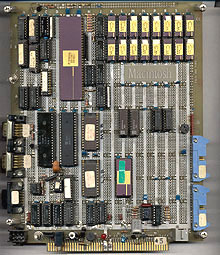 This board was wire wrapped by a number of people on the Macintosh team and illustrates a number of wrapping styles. Probably the last element added was the Macintosh logo, whose design was not settled on until some time in mid 1983. Other printed circuit boards, which were derived from testing with this wire-wrapped board, carried the "Macintosh man" logo. A number of chips are labelled with hand written labels. Other wire wrap boards in this seried may still exist and more information about these rare artifacts may be available in the future.